← Repair of Christ image. Limewood. East Yorkshire. 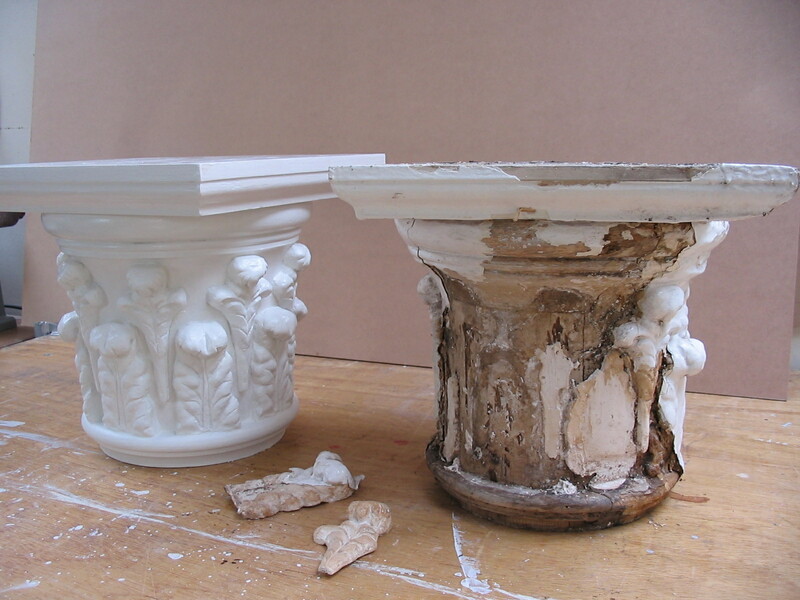 This image shows the repair of a series of capitals from the porch fronts of some domestic properties in Hull. The original leaf decoration was in composite so moulds where taken and new leaves where cast in resin and then stuck on and repainted.